Home > FAQs > Global > Plans, Products, and Services > Refer-A-Friend > How do I earn Refer-A-Friend rewards? It's simple. 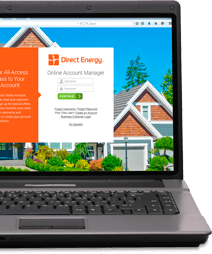 Just log into your Online Account Manager at Direct Energy and follow the easy instructions outlined on your personalized Refer-a-Friend page. Refer as many friends as you want. If your friend accepts your request and becomes a Direct Energy customer, you'll both get a $50 Direct Energy Visa® Prepaid Card. You will receive your $50 Direct Energy Visa® Prepaid Card after your referred friend registers for MyAccount and pays their first three Direct Energy bills in full and on time. Your friend will receive their $50 Direct Energy Visa® Prepaid Card as well after paying their first three bills in full and on time. If you haven't set up your online account, sign in and get started referring today. Visit DirectEnergy.com, click on "Customer Login," and then click "Create an Account." It's easy – and free!